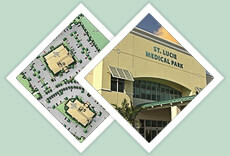 The Diagnostic Clinic (http://www.dc-fl.com/) has moved into its new home in the City of Largo, Florida. With three convenient locations in Largo, Countryside and Palm Harbor, Diagnostic Clinic-Largo now occupies its new building at 1301 2nd Avenue SW (around the corner from the clinic's former location). With its 40-year history, Diagnostic Clinic's team of healthcare professionals is dedicated to serving the families of the Largo community with compassion, skill and integrity. Diagnostic Clinic is a physician-owned, multi-specialty medical practice with more than 100 highly trained professionals on staff. Largo's newest state-of-the-art medical facility provides comprehensive medical care for the entire family with specialties that include out-patient care, on-site testing and fast, accurate results. Additionally, same day appointments are available for internal medicine, family medicine and pediatrics.